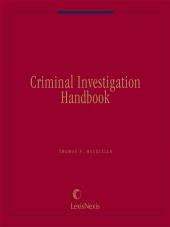 Expert advice and explanationon leveraging the evidence rules to present your case in the best light. 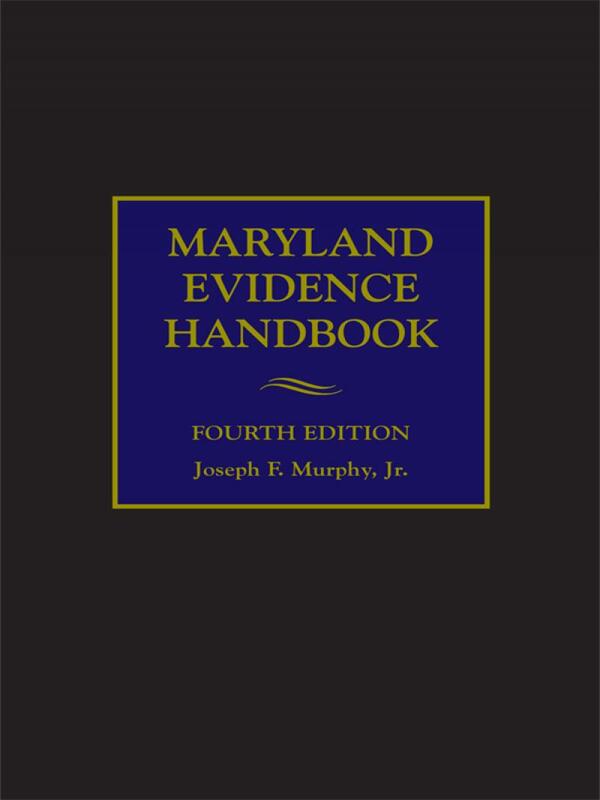 Written and annually updated by Judge Joseph F. Murphy, Jr., Maryland Evidence Handbook provides an up-to-date analysis of the law of evidence as it affects Maryland lawyers. 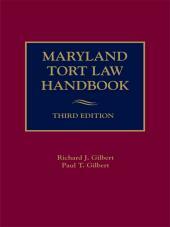 Maryland Evidence Handbook is an easy-to-read volume offering detailed and instructive practical insight into the application of the law of evidence in numerous aspects of litigation practice. 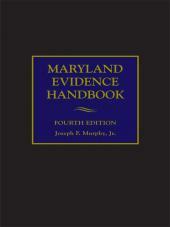 Distilled from Judge Murphy’s varied experience as a teacher, practioner and judge, Maryland Evidence Handbook brings you in-depth and insightful coverage of topics including burdens of proof, relevancy, competency, hearsay, privileges, tangible evidence, testimony, impeachment, expert testimony and more. Hon. Joseph F. Murphy, Jr.
Judge Joseph F. Murphy, Jr. retired from the Maryland Court of Appeals, 2nd Appellate Circuit (Baltimore and Harford Counties). He served previously as Chief Judge, Court of Special Appeals, At Large and as Associate Judge, Baltimore County Circuit Court, 3rd Judicial Circuit. 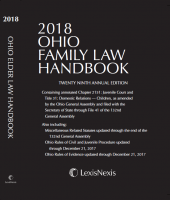 He has served on the Judicial Cabinet, the Ad Hoc Committee on Sentencing Alternatives, Re-Entry, and Best Practices, and on numerous other committees, commissions and task forces. He also previously served as Assistant State's Attorney and Deputy State's Attorney in Baltimore City for six years. Judge Murphy has taught evidence and trial practice at the University of Maryland School of Law and the University of Baltimore School of Law, and is a prolific author. Judge Murphy is the past recipient of numerous awards, including the Outstanding Part-Time Instructor Award, University of Baltimore School of Law (1976, 1977, 1996), the Robert C. Heeney Memorial Award, Criminal Law Section Council, Maryland State Bar Association (1990), the Award for Professional Excellence in the Advancement of Legal Competence, Maryland Bar Foundation (1994), the Annual Law Day Award, Baltimore County Bar Association (1997), Distinguished Service Award, Daniel O'Connell Law Society (2002), the Maryland Champion for Victims Award, Maryland Crime Victims' Resource Center (2003), the Maryland Top Leadership in Law Award, Daily Record (2003), Man of All Seasons Award, St. Thomas More Society of Maryland (2004), the Charles Hamilton Houston Award, University of Baltimore School of Law (2008), and the Benjamin L. Cardin Public Service Award, University of Maryland School of Law (2010).